We Finally Reveal Our Award-Winning Beef Enchilada Party Dip Recipe! Watch your guests fight over the tortilla chips when you bring out this yummy beef enchilada party dip. The air is getting cooler, the kids are back in school, and Sundays are being overtaken by football. This is one of my most favorite times of the year. I love the fall! Football season is such a fun time at our house because my husband hosts parties for all of our friends to enjoy. We play the game on our TV and serve the best snacks in all of Pennsylvania. Well, at least I think we do haha. Everyone keeps coming back so we must. Anyway, if you enjoy a spicy dip that tastes like enchiladas you are going to be head over heels for the following recipe. It’s thick, cheesy, beefy. and ever so zesty. 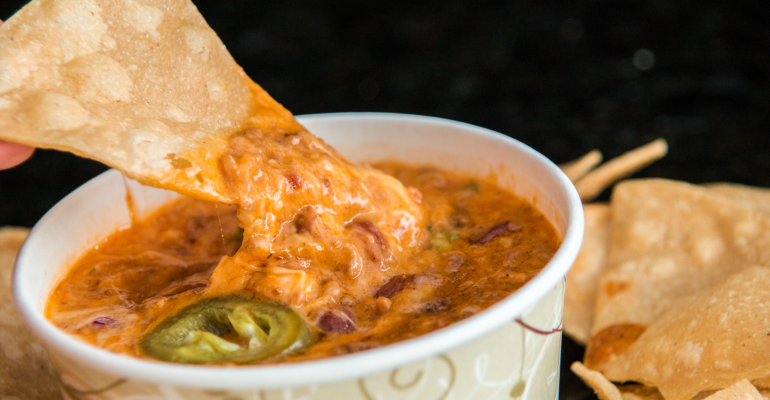 Your tortilla chips will be leaping into the bowl. Are you curious about the recipe? Hop on over to the next page for the ingredients and instructions. USE THE RED NEXT PAGE LINK BELOW FOR THE BEEF ENCHILADA PARTY DIP RECIPE. Quick Tip: Shredding your own cheese directly off the block melts easier than using pre-shredded. It’s also healthier. Who Knew How Inspiring It Would Be To Watch Teenagers Bake A Butter Pecan Bundt Cake?